Welcome to the December edition of the Carnival of Aces! 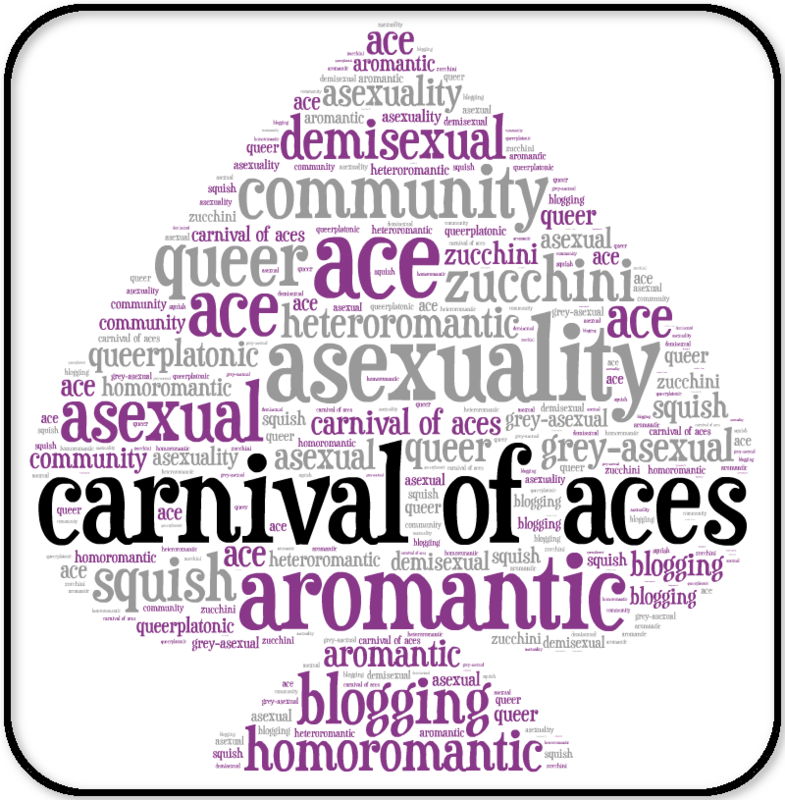 The theme I chose for this month’s carnival was change, which seemed fitting because it was both the end of the year and my own two-year anniversary of discovering asexuality. We’ve had some wonderful submissions this month! … I think there is also a gradual and pleasing shift towards a conception of asexuality that encompasses many ways of being, of experiencing sexuality, and of relating to other people, replacing models of asexuality as either a singular experience or as a neatly-compartmentalized cluster of experiences… while I think the terminology of these ideas can be really useful for some people, I have come to understand that I don’t feel comfortable specifying my sexual orientation beyond queer asexuality. I titled this post “Growing into ‘queer,’” but my identifying as queer has been less of a linear growth and more of a 7+ year vague ramble with occasional detours and pit stops for tea. Perhaps a better title would have been “Stumbling vaguely into ‘queer’ and apologizing a lot along the way as I knock things over because I’m a klutz,” but that’s a bit long for a title, even by my standards. So overall the biggest change I’ve found is that I’m better able to work out my own identity as I can further break it down but at the same time am more critical of the pressure that I had subconsciously felt from social norms and expectations. Which has given me more confidence to be myself. Oh, and it’s also been aided by finding a fantastic group of new friends. First time writing something of this nature, this is one of the two biggest changes for me I think. I have only identified as a heteromantic ace for about two months. I am a quiet girl who keeps to herself and stays out of things most of the time. It might also have something to do with me being a lot of more sociable and vocal now than before in general, but asexuality is the first thing I would actually make an effort to ‘educate’ people about, so to say. Apart from this thought barrier that came crumbling down, I’ve also started to realize how I, as a woman, have learned to assess other women from other women. We silently crow in triumph at finding someone fatter than we are at a party, we criticize a conventionally pretty woman’s bad style to make ourselves feel less inferior, or judge someone’s looks as plain or unfortunate. All to make ourselves feel better… I’m quite grateful to now be able to look at others envy-less, at least some of the time. And finally, my own submission for the carnival: Everything Changes (except for the stuff that matters). Over the past two years, I’ve come to realise that yes, things do change in ways that you don’t expect. But for me, none of those changes – being in a relationship, in love, trying out new ways of being close to someone – have changed the thing that actually matters to me. I’m still as asexual as I ever was, and in a way, it’s even clearer to me now. I’ve changed, but I’m still the same person, happily ace and happily sharing that fact with the world. And although I never really expected that to change, it still seems pretty damn amazing sometimes. Thank you to everyone who participated in the carnival! The January edition will be hosted at a glittering gold maybe, and future spots are open to volunteers! Head over to the master post to put your name down.